Robin Williams would have been 65 years old. Robin Williams’ daughter Zelda has paid tribute to her late father on what would have been his 65th birthday. The Jumanji actor took his own life in August, 2014, leaving his family and fans around the world devastated. 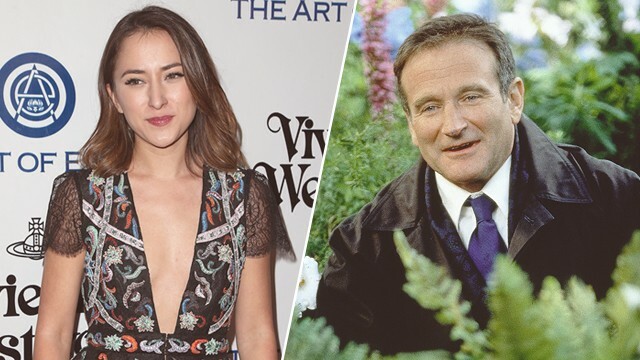 On Thursday, Zelda Williams, 26, took to Instagram to share a touching post addressed to her dad, revealing how she is still dealing with his passing. “Still not really sure what to do on days like today…” she began. “I know I can’t give you a present anymore, but I guess that means I’ll just have to keep giving them in your name instead. Zelda explained how the charity rescues pups from shelters and trains them so they can be paired with someone in dire need of their help and companionship. “Thought you’d get a kick out of furry, four legged friends helping change the world, one warrior in need at a time,” she continued. “Happy birthday Poppo. Shasha, Zakky, Codeman and I all love you and miss you like crazy. Xo”. Zelda’s tribute to Robin comes a day after she also shared her sorrow over the death of director and producer Garry Marshall, who created her father’s hit comedy show, "Mork & Mindy", in the late ’70s and early ’80s. The 81-year-old passed away on Tuesday due to complications of pneumonia after suffering a stroke.